Legal Toolkit is a comprehensive resource for professionals in law practice management. Each month, host Jared Correia invites forward-thinking lawyers to discuss the services, ideas, and programs that have improved their practices. Andrea Cannavina gives advice to lawyers on how to increase efficiency this holiday season. Milena Higgins talks about the ways automation and AI can help lawyers turn over cases with ease and efficiency. 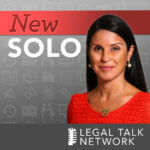 Talitha Kozlowski talks about the practical consideration of freelancing, how the process works, and the potential risk law firms could face with freelance attorneys. Jeremy Richter talks about what lawyers can do to buid confidence both in their practice and business skills. Alan Fanger gives his thoughts on what lawyers can do in order to improve their client’s performance within the litigation process. Ernie Svenson discusses about automation and how to set up systems that will help attorneys run their firms more efficiently. Jared Correia attends the ABA TECHSHOW 2018 and interviews students, vendors, and attendees about what they love about the conference and their favorite part about it. Debbie Hoffman and Jeremy Potter discuss their style on how they run an effective corporate legal department. Dana and Keith Cutler, stars of the new TV show “Couples Court with the Cutlers,” answer common questions asked by those who suspect their partner is cheating. How Can Lawyers Solve the Access to Justice Problem? 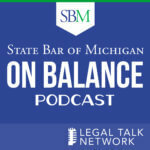 In this legal podcast, Keri Norris talks about access to justice and how technology and bar associations can help. A legal podcast about what key performance indicators (KPIs) are and why lawyers should use them for business management. Creative Content Specialist/"Spaceballs: The Animated Series" writer Adam Kosloff discusses why prolific writing is very costly for lawyers. Crisp Video Group CEO Michael Mogill talks with Jarred about creating video content for law firms and using it to effectively market. ClariLegal founder and CEO Cash Butler talks about litigation support options available to law firms and legal practitioners.